When was the last time you read the terms and conditions for… anything? This new project, however, actually makes them interesting. 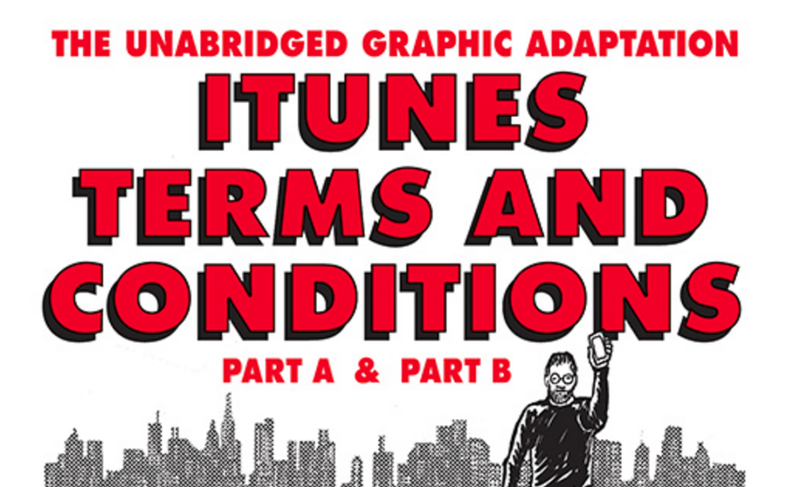 Robert Sikoryak, an American artist, decided to illustrate iTunes’ legalese to give you a reason to read them. Sikoryak’s illustrations of the terms span over three volumes, documenting the entire agreement. It jumps between famous illustration styles and includes Steve Jobs as Tintin, Snoopy and even superhero Steve Jobs. Just browsing the Tumblr he’s uploaded them to, I think I read more of the terms than I ever have in the past. Trust me, you won’t be disappointed, it’s kind of epic. My question is which company will be the first to actually write their terms and conditions in this form? If they did, I’d probably take the time to read through them.